Cape Town, South Africa - a city that is home to more than 4 million people - is close to running out of water after three years of a persistent drought. "Day Zero," or the day when the city will be forced to turn off most of its taps, was originally set for April but the date has been pushed to July. By then, if the city doesn't get enough rain, thousands of residents will be forced to collect water rations from central collection points. If the city runs out of water, it will be the first major city in the world to do so. But the World Wildlife Fund estimates that by 2025, two-thirds of the world could be dealing with water shortages. We went to Cape Town to open Business Insider's new South Africa edition and explored the city as tourists. We found a divide between the tourism industry and the rest of the country. Cape Town is a coastal city and popular tourist destination known for its hiking, beaches, and wineries. NASA greyed out these aerial satellite images that stretch back four years to show just how bad things have gotten there after three years of drought. Before we traveled to Cape Town, news reports showed people lining up with jugs to collect drinking water at taps that were open to the public. 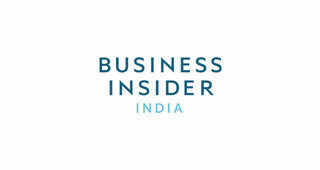 Business Insider recently launched an international edition in South Africa, based in Cape Town. When we traveled there from New York, we were curious about the effects of the water crisis. Check out our new site here. The aerial view from the plane coming in reveals dry, brown grass and trees. Many people on the plane mentioned how they took "extra long" showers before coming to Cape Town, unsure of when they'd be able to bathe again. It didn't take long to see reminders of the water shortage everywhere. Many public places, like airports, shopping centers, and restaurants, have turned off the taps to water in favor of hand sanitizer. At a restaurant in Cape Town, a sign urged patrons to use hand sanitizer, but instructed restaurant workers to continue using soap and water. One hotel's bathroom included hand sanitizer as an option, but still kept the taps running. People are also being urged to eat out of paper or disposable containers and wash dishes at home instead of work. However, the water shortage also led to a hand sanitizer shortage in some places, like in our office. Signs like this were in virtually every public bathroom in Cape Town. Residents are also being urged to take showers under two minutes. We were sure to turn our showers off in between rinsing and lathering. "If it's yellow, let it mellow," became a common refrain. The pool at our Airbnb apartment was closed when we first arrived. But much to our surprise, the pool reopened a week into our stay in the city. This pool at a hotel near the city's waterfront had its pool filled to the brim. Some residents are paying to truck water in from outside of the city to fill their pools. This hotel, however, had drained its pool and left it to collect rainwater. Overall, the water shortage doesn't seem to be impacting tourists too much. Despite widespread awareness, taps are still running, some pools are filled, and showers aren't restricted.